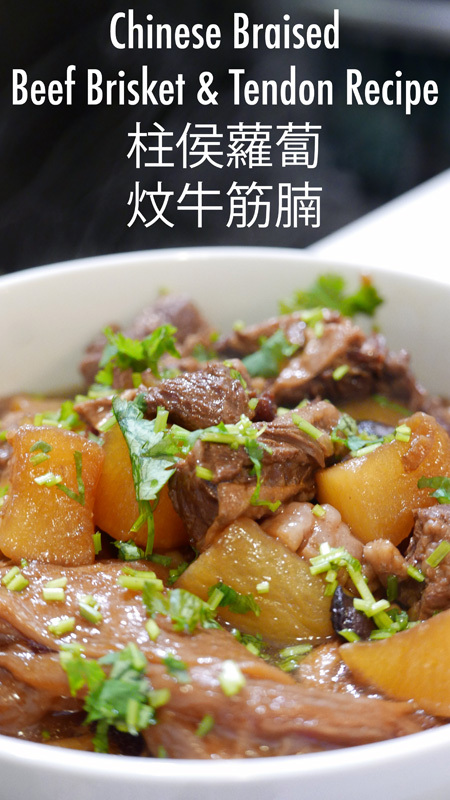 柱侯蘿蔔炆牛筋腩 Braised beef brisket and tendon is one of my favourite Chinese comfort dishes. I love it with rice or with soup noodles at wonton restaurants. 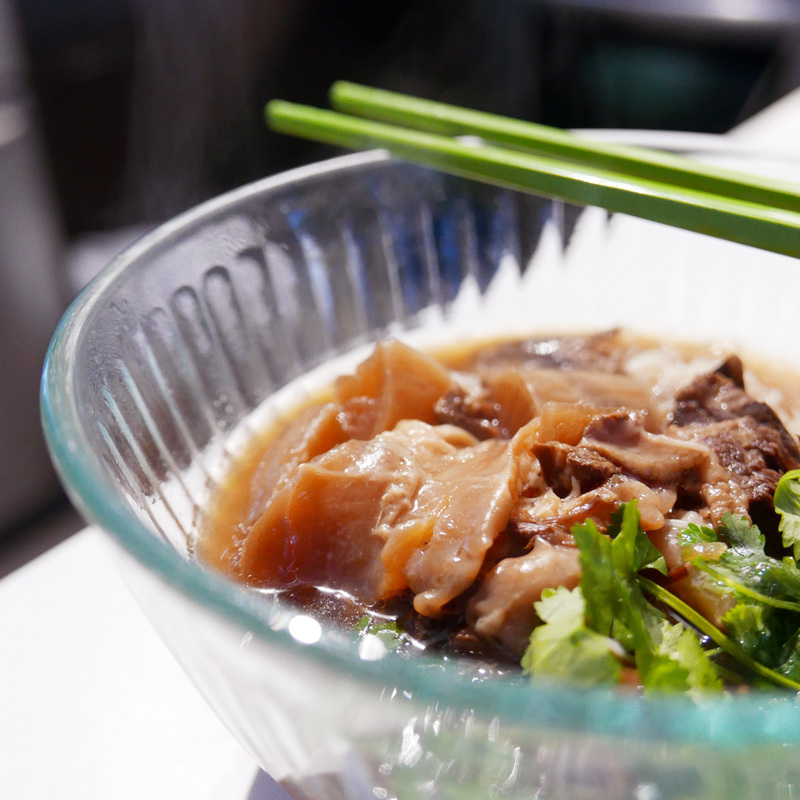 Often noodle houses always advertise that their beef brisket is their specialty – especially their sauce. Finding the perfect bowl of beef brisket is often on top of my list whenever I visit Asia. Recreating this dish at home has always been my dream but I hate having to stew the tendons for HOURS! 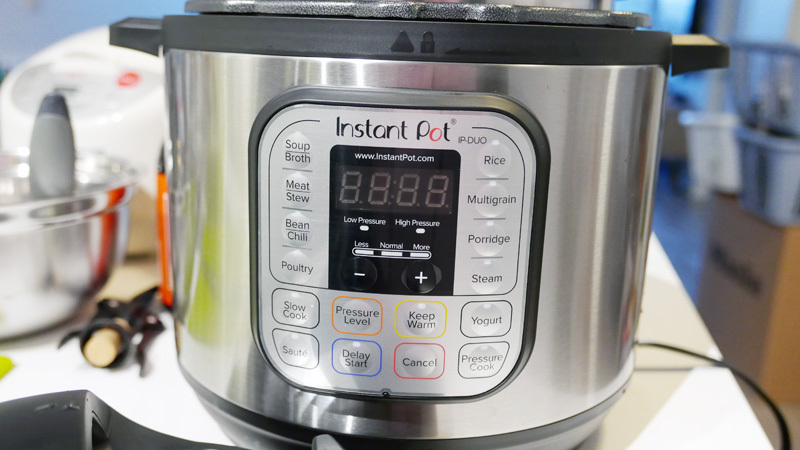 Luckily, this Instant Pot, it only takes 30 mins! This pressure cooker is a dream to use! I bought mine from Amazon and it was delivered the the next day with Amazon Prime! Anyone with a busy schedule or has to care for babies need this in their life! Without this I can not imagine being able to cook with my baby! It is so easy to use and is such a time saver! Often I like to deliberately cook extra – store a portion in the fridge for lunch the next day, a portion to make into noodle soup, and freeze a portion to eat later in the week. 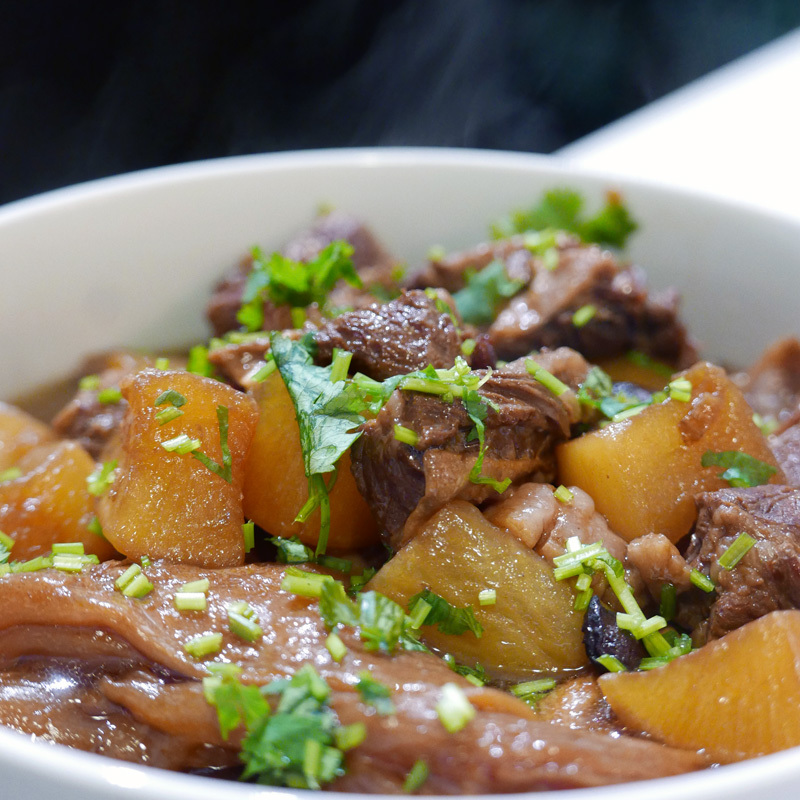 The soul of braised beef brisket and tendons is the Chu Hou Paste 柱侯醬. I usually just buy Lee Kum Kee paste which can be found at any local Asian supermarket. Chu Hou Paste mainly is made of soybeans, garlic, ginger, sesame seeds and spices. Of course, you can make the sauce from scratch, but isn’t it so much easier to buy instant? Before cooking the brisket and tendons, always remember blanch it in a big pot of boiling water to remove the impurities for approximately 5 minutes. After run it in a cold bath. Cut the brisket and tendon into small cubes. I like to cut them approximately 3 inches wide since they shrink quite a lot in size after being braised. Sometimes the tendons are still too tough to cut. If this is the case than just cook it whole and cut it afterwards! Heat oil in the wok at medium high heat (or Saute mode in the Instant Pot – when Instant Pot reaches the given working temperature, it displays “Hot” and you can start sautéing). Add in garlic, ginger and shallots and a splash of cooking wine and let evaporate. Then add in Chu Hou Paste and toss in brisket and tendons. Once everything is covered remove from wok and put into the Instant Pot. Pro Tip: adding some rock sugar will help soften beef briskets! Alternatively, you can saute the above steps directly in the Instant Pot. The pot heats up very quickly so I like to have everything chopped and prepared before this step. 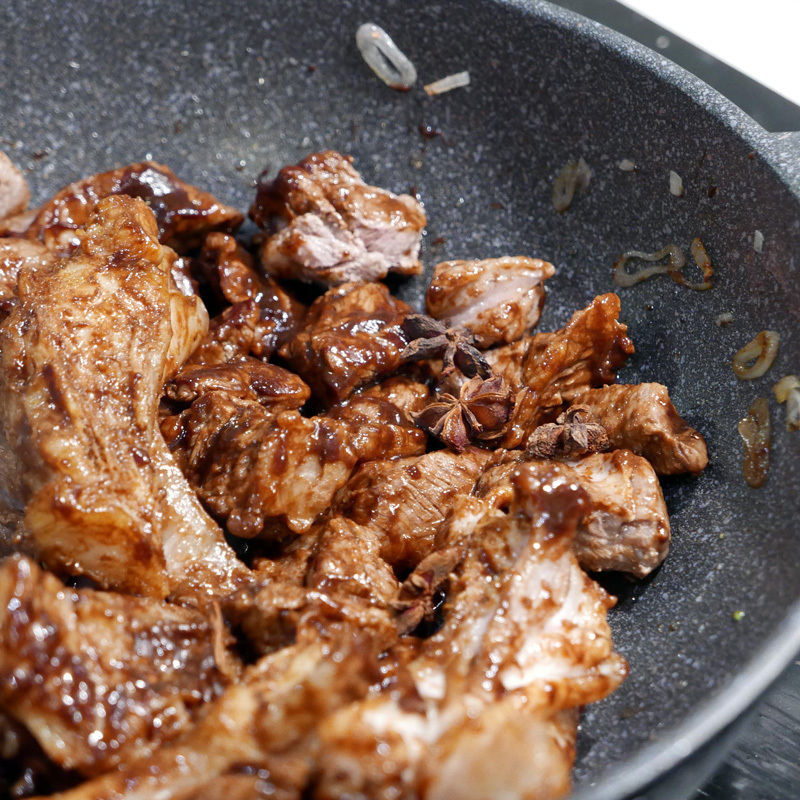 Add in rock sugar, water, star anise, light and dark soy sauce, oyster sauce, and corn flour. Pressure cook for 30 minutes if you like a bit of bite in your beef brisket / 40 minutes if you prefer your meat softer! Cubed daikon can be added at the very end and pressure cooked for and additional 2 minutes. 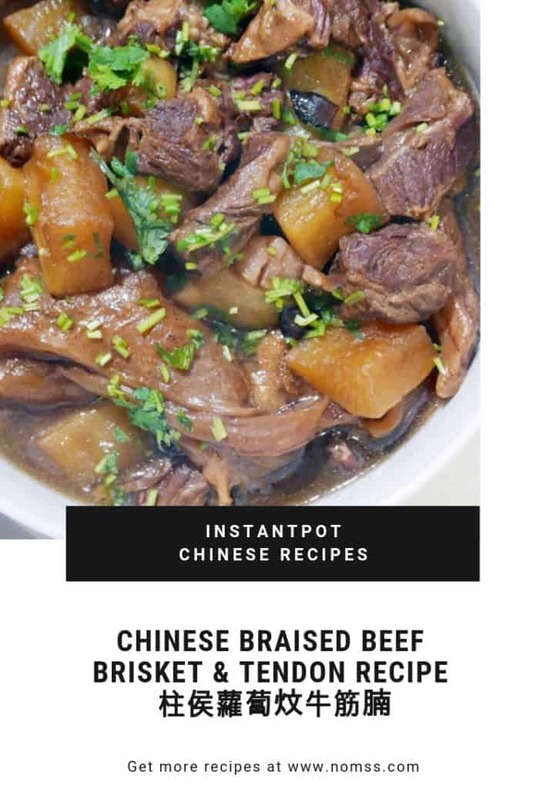 Easy IntantPot Chinese Braised Beef Brisket & Tendon Recipe 柱侯蘿蔔炆牛筋腩. 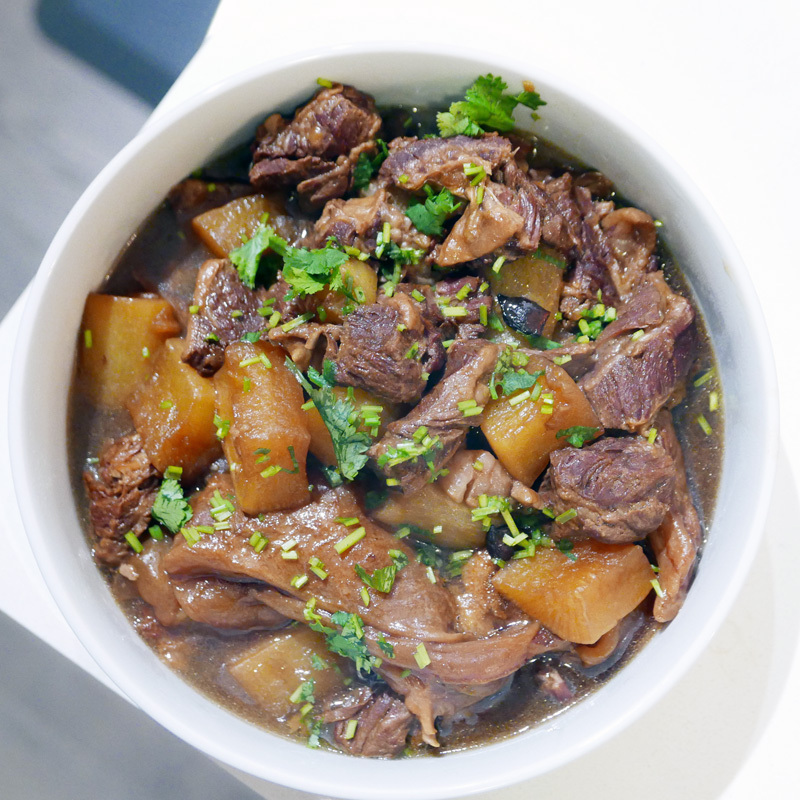 Braised beef brisket and tendon is one of my favourite Chinese comfort dishes. I love it with rice or with in soup noodles! 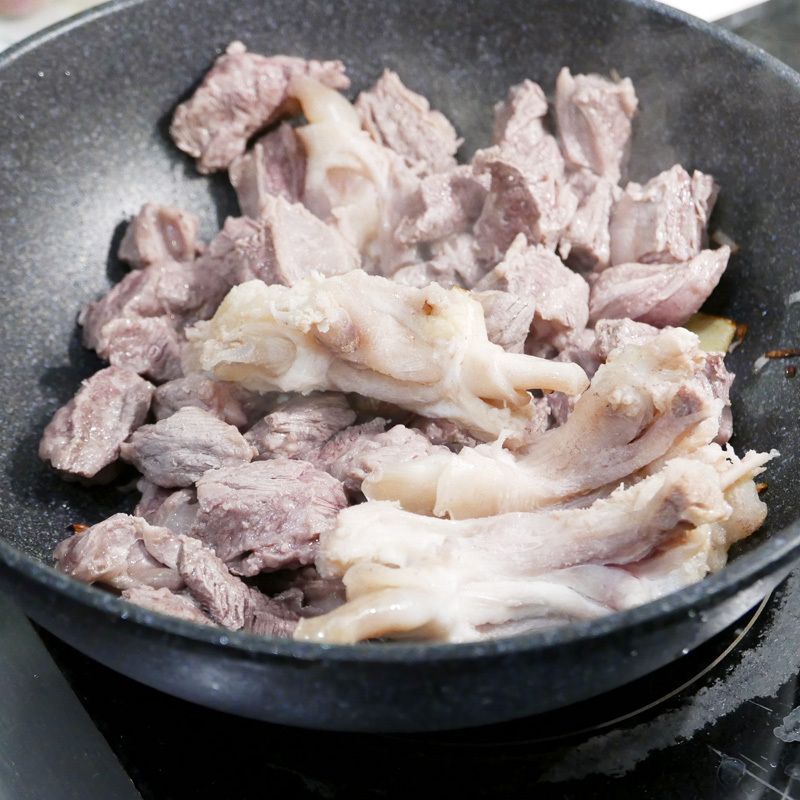 Blanch brisket and tendons in boiling hot water for approximately 5 minutes to remove impurities. Rinse under a cold bath. Cut the brisket and tendon into small cubes. Add cooking oil in InstantPot and press Saute Mode. 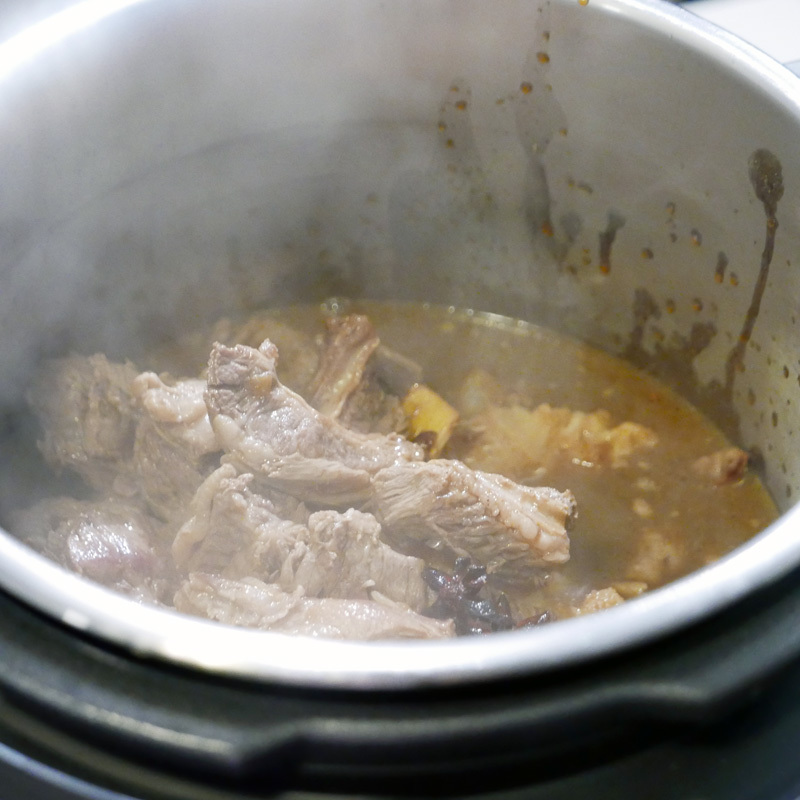 Add garlic, shallots and star anise when Instant Pot displays “hot”. Add brisket and tendons and brown the meat. Add in remaining ingredients except cubed daikon. Cook in Manual High Pressure Cooking Mode for 30 minutes. Release pressure and add in cubed daikon and Pressure Cook for 2 minutes. Garnish with finely chopped green onions or cilantro.